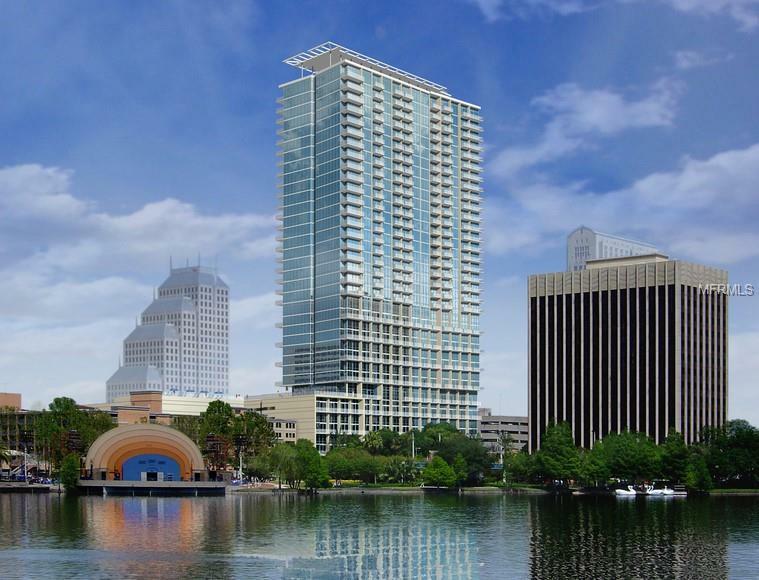 Wake up to the gorgeous views of the iconic Lake Eola fountain from this luxury studio apartment located on the 6th floor in the heart of downtown Orlando. This residential skyscraper is the third tallest building in Orlando Downtown. The studio features high ceilings, floor to ceiling glass windows, hardwood floors and plenty of storage space closets. The kitchen has stainless steel appliances, granite counter tops and an eat in space. Step out in to the balcony to have your morning coffee and enjoy the breathtaking views. The building has lots of amenities that includes 24 hour concierge, racquetball courts, dog park, pool, assigned parking, high speed elevators. Water, sewer, trash included in the rent. Washer/dryer combo included.Call Today!